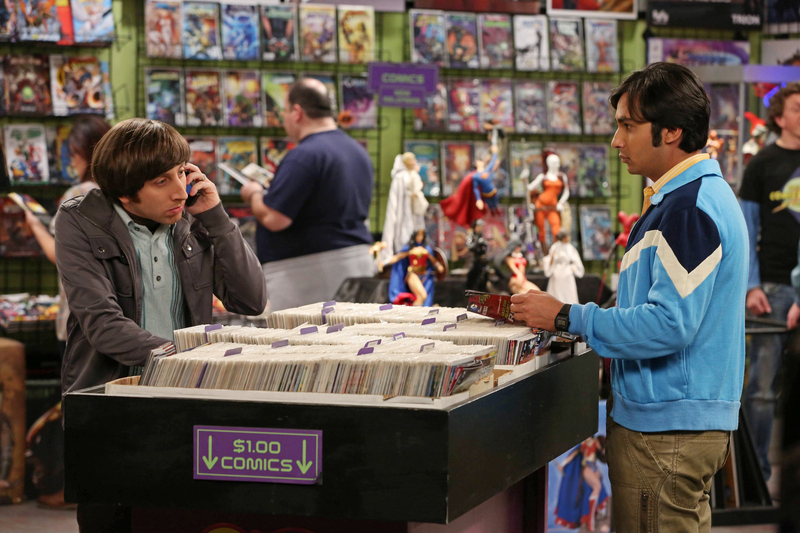 While the guys try to give their significant others the perfect Valentine’s Day, Raj and Stuart throw a “lonely people” party at the comic book store. Photo: Michael Yarish/Warner Bros. ©2013 Warner Bros. Television. All Rights Reserved.